Producing a physical PMCD if required. Contact us today via our online form to get a quote on your CD master. In order to assemble a selection of tracks into a finished album, several adjustments are required. It’s a process that requires not only great technical expertise, but also great taste in music. The way tracks are spaced, what sonic texture is imparted to each track, how loud a track sounds compared to the previous one, these are all crucial elements in getting an album to sound consistent. Here at Doctor Mix we pride ourselves in taking the best possible care of the artist’s work. We listen closely to all the songs one by one and try to understand what the music is about and what message it is trying to convey. Then we make a decision on what gear (analogue or virtual) is the best one to portray the sonic picture of that message. Finally we make all the necessary adjustments to enhance the specific qualities of the album. Here at Doctor Mix we have two decades of experience delivering high quality CD masters to the top leading companies in the music industry. The advent of the internet has allowed us to extend our reach to independent artists worldwide. We acquire material and deliver finished albums via online file transfer. Find out what dramatic difference our CD mastering service can make to your music: call our team Doctor Mix today on +44 (0) 844 8000 889. 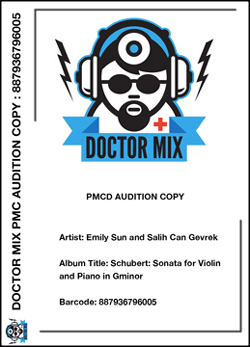 WHY CHOOSE DOCTOR MIX TO PRODUCE YOUR CD MASTER?